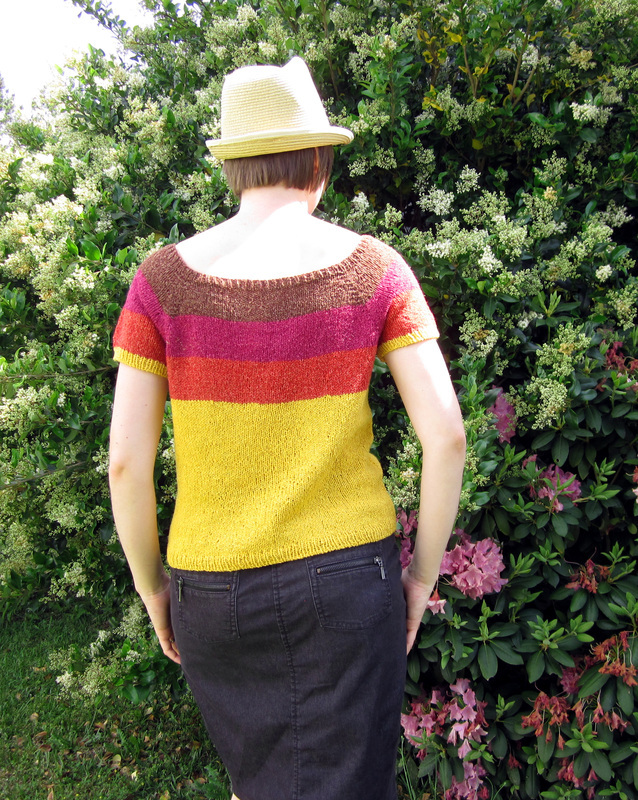 The Sunburst Tee is a casual fit raglan pullover with a yoke of gradient stripes. Different increase rates for the bust and sleeves create a more flattering neckline and better fit than typical raglan sleeve shaping. A table listing the increases for each round of each size is included. 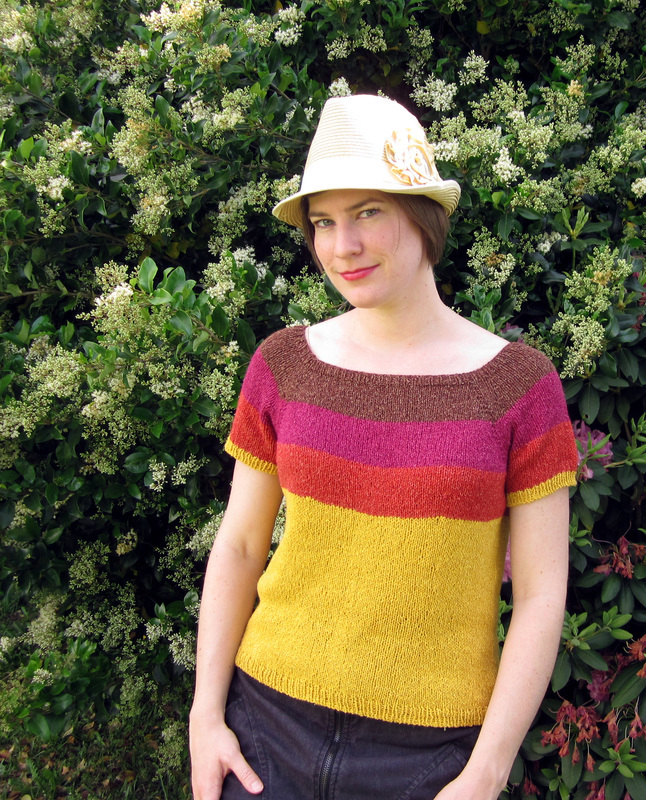 The width of the stripes is adjusted for each size to have the striped yoke end below the bust line. Gentle waist shaping is created with darts. Edges are finished with single rib. Tee is meant to be worn with little or no positive ease in the bust. Choose the size closest to your bust measurement; if in-between sizes, I would suggest making the larger size. Total yardage: 595 (620, 665, 695, 750)(785, 860, 885, 945, 985) yards.